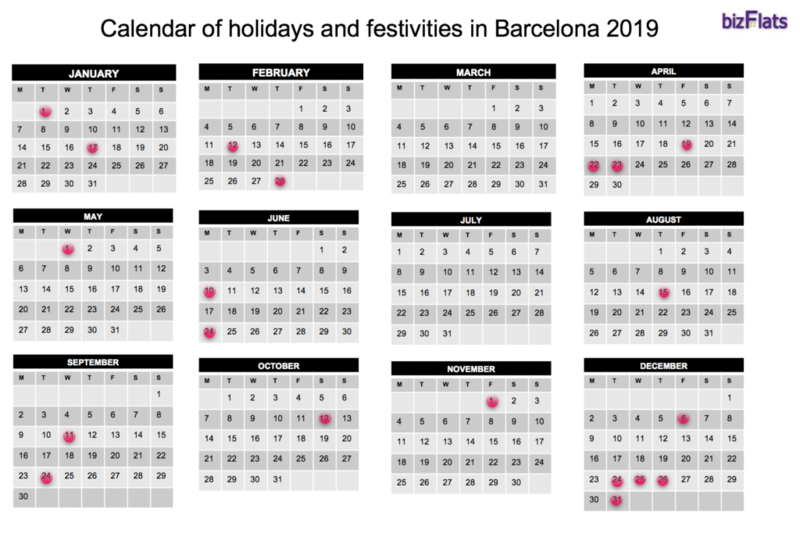 If you come to Barcelona on vacation or for a business trip it is important that you know if there is a public holiday happening in Barcelona and what it is celebrating. It may be that your stay in the city coincides with a special celebration and you will have the opportunity to see traditional dances, enjoy a gastronomic event or even see a performance by the famous “castellers” (Human towers). New Year’s Day is the first day of the year and a holiday in the whole of Spain. If you’re looking for somewhere to eat on this day celebrating new beginnings, check out our guide here. In Spain, the majority of presents being given and received on this day instead of Christmas Day. The night before, you will find big parades where the three king’s hand out sweets for the children. Find out more about it here. Celebrated around the feast of Sant Antoni Abat (January 17), the main activity is the passing of horses, rides or pulling carriages, which make a circuit through the centre of the city. The reason? The blessing of animals, formerly the economic and social engine of society. Santa Eulàlia Festivity is celebrated every year around February 12, not only in Barcelona, but in many nearby cities. Normally the party is celebrated on the weekend closest to February 12 and is a party where you can witness many different popular cultural activities: traditional dances, sardanes, correfocs and also castellers. This year carnival is celebrated from February 28 to March 6, and as in the rest of the world, it is a week of joy and madness. 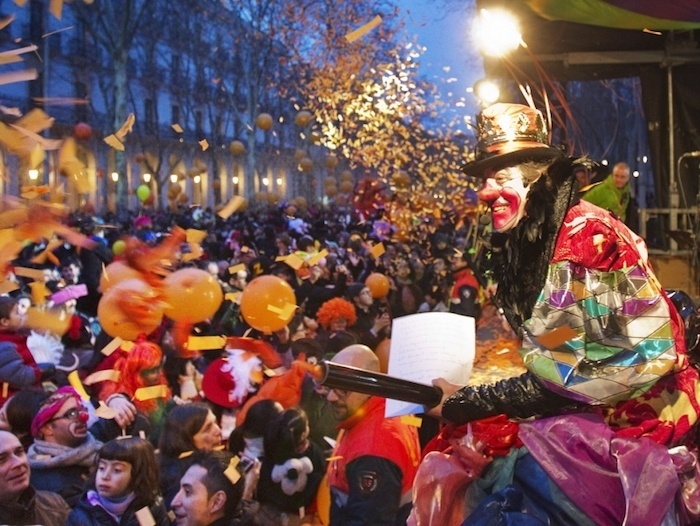 In Barcelona you will be able to see the “Rei Carnestoltes” arriving with 7 ambassadors to inaugurate the carnaval and during this week you will see several parades with people in costume in different neighborhoods of the city. Good Friday is the first day in the long weekend celebrating the religious Christian festival of Easter. Around this time it is quite common to find religious parades happening throughout Barcelona. Easter Monday is the final day in the long weekend celebrating the religious Christian festival of Easter. Around this time it is quite common to find religious parades happening throughout Barcelona. Also, it’s a tradition that the godfather or grandfather of the grandchildren or godchildren gives them “La Mona de Pasqua” on Easter Sunday or Easter Monday. “La Mona de Pasqua” is a sweet dessert that is usually eaten with chocolate and hard-boiled egg. It is a tradition that symbolizes that Lent and their abstinences are over. In addition, the most famous pastry shops compete to showcase the most spectacular chocolate figures in their windows. A holiday around most of the world, labour day is the celebration of workers and as well a celebration of the beginning of spring. This day is of Catalan origin. You will see how the centre of Barcelona (the Ramblas, Plaça Catalunya, etc.) is filled with book stands and rivers of people with roses in their hands. A celebration that happens 50 days after Easter, Second Easter is a religious festival. 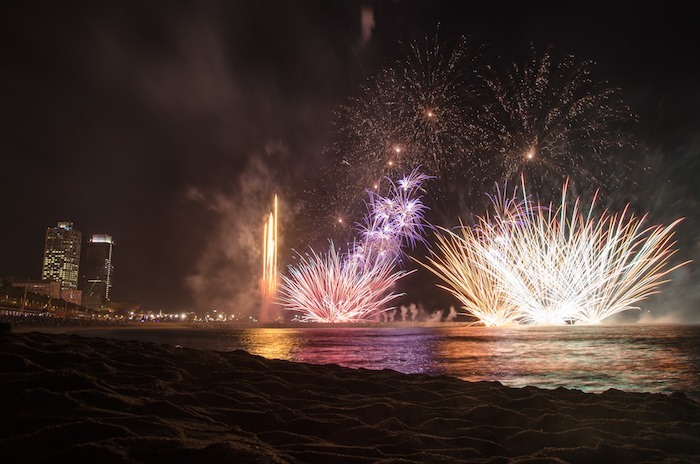 An exciting festival that happens throughout Catalunya to celebrate the longest day in the year, you will see the sky lit up with fireworks and parties on the beach. Find out more here. A public holiday celebrating the Mary’s assumption into heaven. The national day of Catalonia is the commemoration of when Barcelona fell during the Spanish War of Succession. On this day, you will see political parties and organizations laying flowers at different sites throughout the city, including monuments to those who defended the city. There are also demonstrations to pay homage to the defenders. One of the biggest days of celebration in Barcelona, the days up to and including La Mercè are a combination of cultural festivals throughout the whole of the city. Find out more here. This day is the National Day of Spain. Also commonly said “Día de la Hispanidad” commemorates when Christopher Columbus first set foot in the Americas in 1492. A celebration of those who have passed away, All Saint’s Day comes after the Catalan festivity La Castanyada, celebrating autumn. This day commemorates when the new constitution of Spain was signed in 1978.
and exchanging gifts. Here’s our handy guide on what to do in Barcelona around Christmas time. A celebration of Saint Stephen, the day after Christmas. During this day it is a tradition to eat “canelons.” Find out what other dishes are typical during Christmas time in Catalunya. Additionally, if you want to check the calendar of commercial openings in Barcelona, check here. 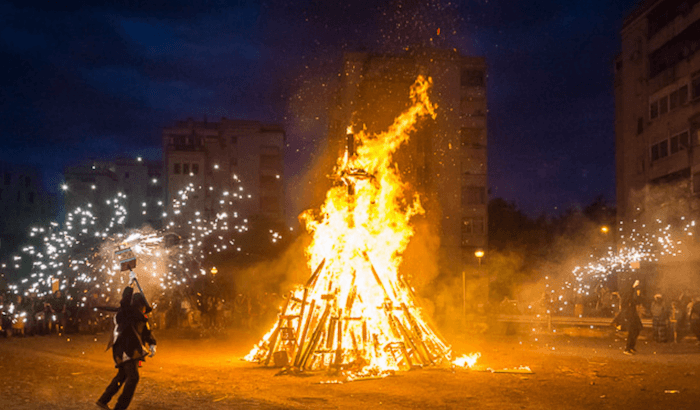 Come to Barcelona on the eve of the 23rd June and you won’t be able to miss the spectacular celebrations happening for the Revetlla de Sant Joan. Considered to be one of biggest holidays of the year in Barcelona, the streets come alive with people and the constant crack of fireworks spiralling overhead throughout the city. Whilst the actual holiday falls on the 24th June, a bank holiday in Catalonia, the celebrations all happen the night before. This is in order to celebrate the longest day of the year – otherwise known as Summer Solstice and considered to be the start of summer. Summer Solstice has always been an important tradition dating back to ancient Pagan rituals when people believed in the spiritual importance of both fire and the sun. Here in Catalonia we combined that with the celebration of the birth of Sant Joan, meaning it is still marked by symbolic customs. As well as fire, people believe in the special powers of water and herbs on this night. For this reason you may see people going for a midnight dip in the sea as it’s thought to keep you healthy all year round. Herbs are also thought to become more powerful in their curative features on Sant Joan, especially Thyme, Rosemary and Verbena. As mentioned above, fire is believed to have an extraordinary power on this night of the year, being thought to chase away evil spirits. This means the city comes alive with loud firecrackers and bonfires going on until the early hours. In fact, each city neighbourhood creates their own bonfire in which they throw old furniture, another old tradition that is thought to bring you good luck over the year. In the days leading up to the Revetlla de Sant Joan, little firecracker stands pop up all over the city for people to buy their supplies. Whilst there are many celebrations happening throughout the city, the neighbourhood of Barceloneta has an especially wide array of activities. Here you will find people partying until dawn, amidst an array of live music, banging firecrackers and bright burning bonfires. Beach bars set up temporary stands for revellers to stock up on food and drink over the night, and you can also find activities around the neighbourhood. These can include anything from fireworks displays with “diables” (dancing devils) and “dracs” (dragons) to beautiful orchestras getting people in the mood for a great night. If you head down to Barceloneta beach you can be guaranteed to find plenty of things to entertain you for the night. Don’t forget to try the Coca de Sant Joan! 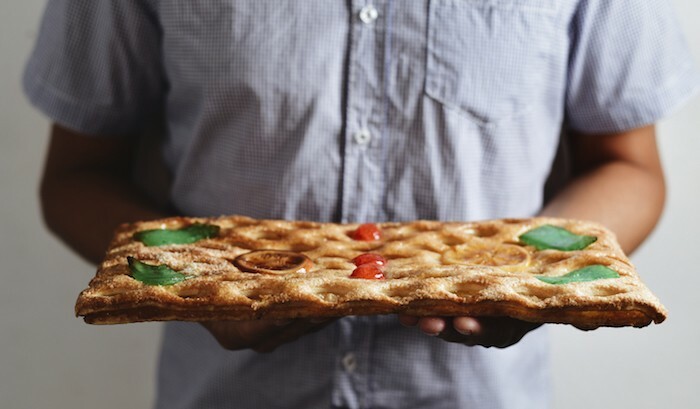 To mark the occasion, people eat Coca de Sant Joan, the traditional food of the celebration. A cake that can be topped with a variety of different things including candied fruit, pine nuts or crackling. There’s no doubt about it, the Revetlla de Sant Joan is one of the most magical nights of the year to be in the city of Barcelona. If you want to make that night even more special why not check out www.bizflats.com to book yourself the perfect accommodation in Barcelona. Primavera Sound is an unmissable event in Barcelona. In our eyes, the arrival of summer in Barcelona is marked by a few things: rising temperatures and glorious blue skies, Ciutadella Park and Barceloneta slowly starting to fill up with sunlight lovers soaking in the rays, dinner times getting pushed back later and later as the days get longer, and the streets coming alive with life. The inauguration event to officially kick off summer? Well, we like to think that that’s Primavera Sound Music Festival. Primavera Sound is one of Europe’s most popular music festivals, and is hosted annually in Barcelona. This year it’s to be held May 30 – June 3, 2018, and over 190,000 partygoers are expected. 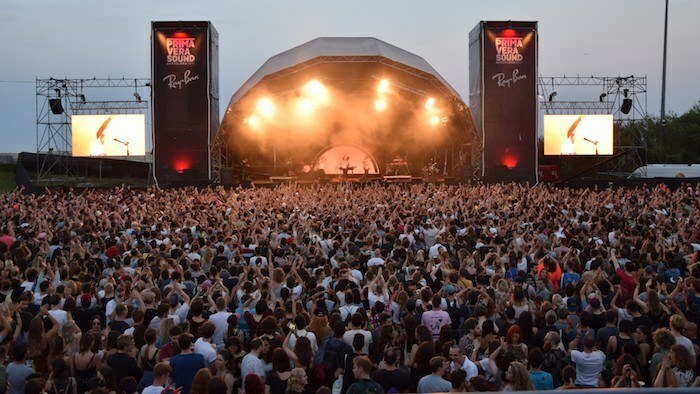 The organisers of Primavera Sound pride themselves on carefully curating a mix of music styles and genres, with performances by both well-established artists and smaller acts that are just emerging, so that the audience can jam out to their favourites and also discover new music. El Pais says the music festival is “an integral part of Barcelona”, and La Vanguardia even went so far to rate it as “one of the best festivals in the world”. This year’s line up for 2018 was recently announced, and includes big headliners like Björk, Nick Cave and the Bad Seeds, Migos, Arctic Monkeys, Lorde and A$AP Rocky. Apart from the music, the location of the music festival plays a key part in the experience. 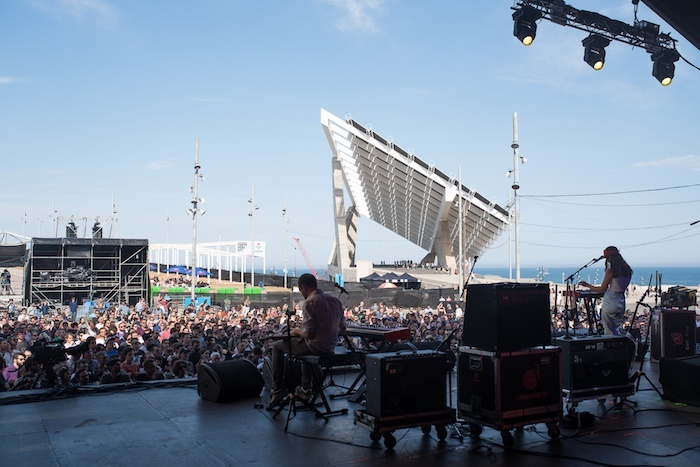 The home of Primavera Sound is Parc del Fòrum, a massive waterfront park that overlooks the sea. With the glorious warm weather in May, there is no better feeling than swaying with the crowd, friends by your side, Aperol Spritz in hand, and watching the sun set on the Barcelona coastline, with the cool sea breeze in your hair… We already can’t wait. What else can I do while in town for Primavera Sound? 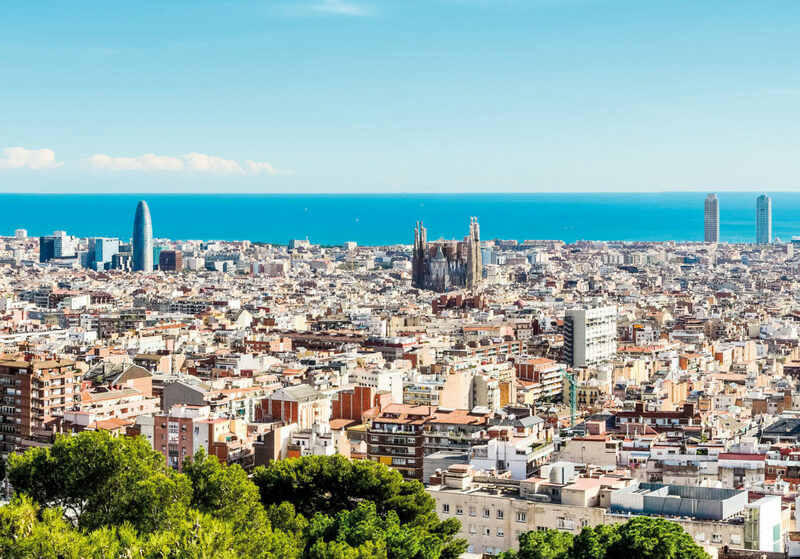 Now that we’ve convinced you to come to Barcelona for Primavera Sound, you may be wondering what other things you can do while you’re here in the beautiful city of Barcelona, and to take full advantage of your travels here. Well, you’ll be spoilt for choice! No matter what you like there’s something for everyone. For the foodies, you may wish to explore the rich gastronomic scene – plus all that dancing at Primavera Sound is sure to leave you with a great appetite. Perhaps a visit to the famous La Boqueria market on La Rambla? Or tapas-bar hopping in the well-known El Raval neighbourhood? Or you could take advantage of the beautiful weather and have a paella by the sea in one of our many beachside “xiringuitos”. For those knowledge-hungry visitors, a visit to one of our world-class museums cannot be missed. Whether it’s arts or history, there are a huge variety of educational museums all around Barcelona. And of course, there are a few historical sights that must be checked off one’s bucket list while in Barcelona, even if your legs are sore from dancing all day and night: a visit to Gaudí’s Sagrada Família, or a stroll through the scenic Park Güell will complete your Barcelona trip. If you’re really squeezed for time during your trip here for Primavera Sound, check out our three-day and five-day travel guides. Are you attending Primavera Sound this year? What acts are you most excited for and what other things do you plan on doing in Barcelona? Let us know if we’ve missed anything! To buy tickets and view the full-line up, visit the official Primavera Sound website… Be warned tickets sell out fast, so get yours before it’s too late! 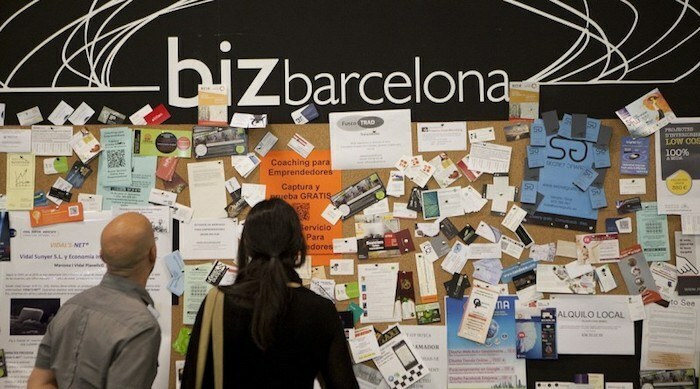 One of the most well-known Barcelona events has to be our trade fairs. If you have come here for one before, you’ll know why the Catalan capital is among Europe’s leading trade fair venues: the pleasant Mediterranean climate, plus being easily accessible from the rest of Europe, and many choices of big and small exhibition halls across the city are just a handful of the reasons. No wonder businesses from all economic sectors are attracted to exhibit here all year-round, including trade fairs related to gastronomy, fashion, and technology just to name a few. 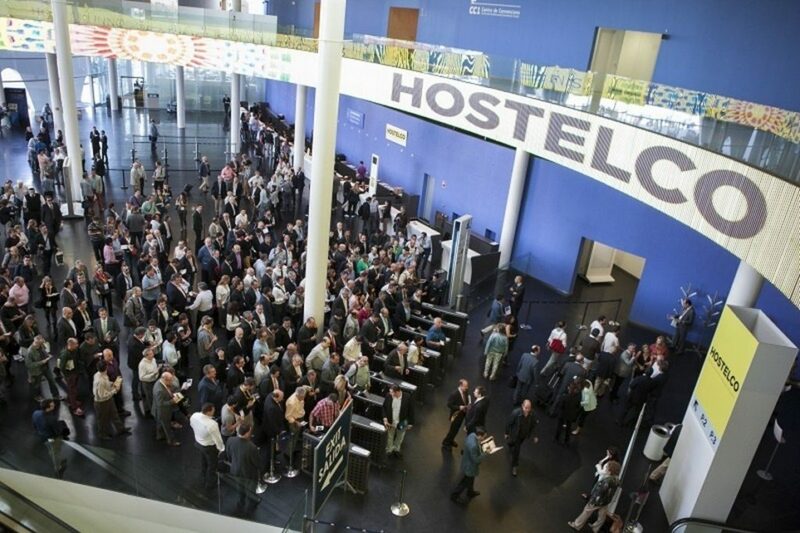 Keep reading for the most important Barcelona events related to trade fairs! 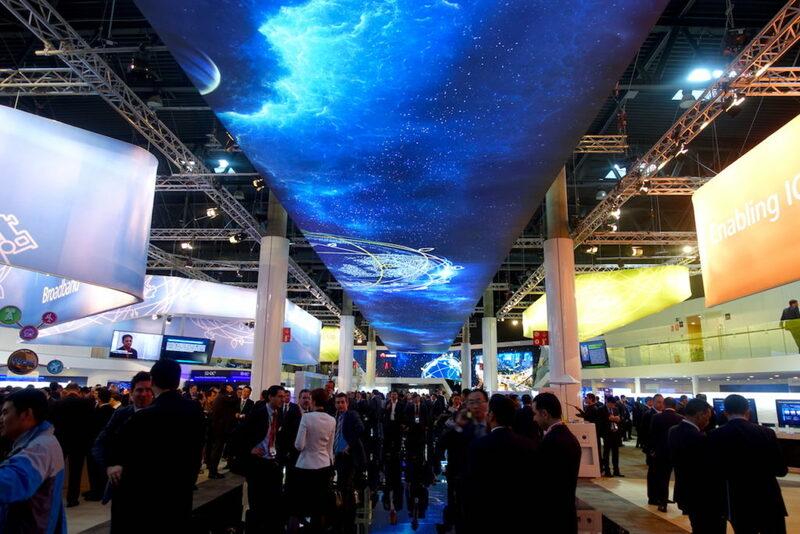 Probably the most famous of all Barcelona events is the Mobile World Congress. All the biggest players in smartphones, computers, tablets and mobile devices come together for this highly anticipated event, hosted annually at Fira Barcelona. 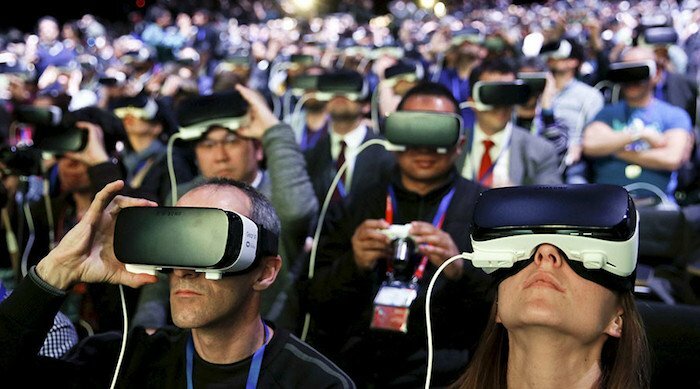 Heavyweights like Samsung, Huawei, Lenovo, Sony and more use the opportunity to debut flashy new products, and to showcase the latest technology trends. Some exciting new trends that dominated the recently held 2018 trade fair included 5G, mobile money, smart cities and artificial intelligence. 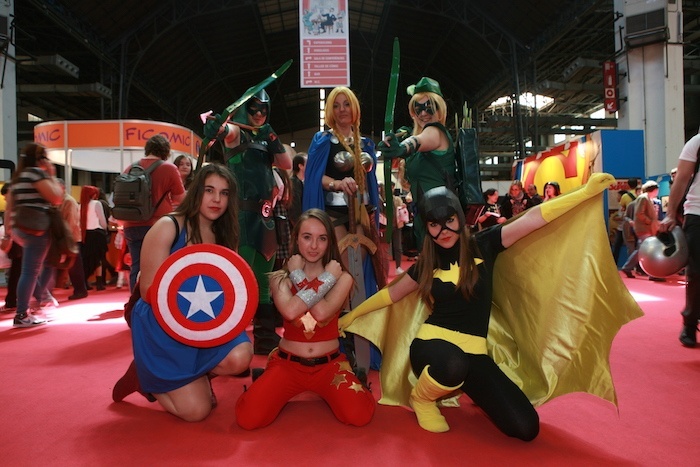 Takes place in Barcelona since 1981 and is the festival which showcases all the most important new developments in the world of comics. If you visit it, make sure you wear a fancy dress, every year, the Barcelona Comic Salon awards the most original proposals. To be hosted on 12 Apr 2018 – 15 Apr 2018. With a reputation for producing some of Spain’s finest cuisine, it is only fitting that one of Europe’s most popular gastronomy and hospitality trade fairs be held here in Barcelona. Live cooking shows, seminars and discussions on food innovation, workshops, tastings, plus a dizzying variety of products: bottled, preserved, cured, fermented, dried, fresh… You name it, it’ll be somewhere in the massive acre-sized hall of Fira Barcelona. 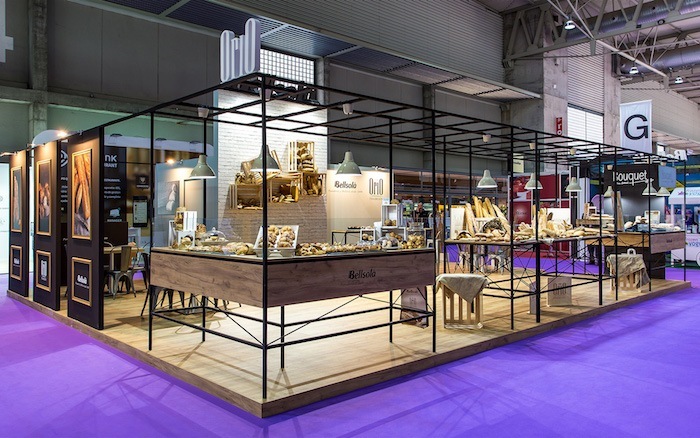 More than 140,000 visitors from 157 countries attended the last edition, joining some 4,000 exhibitors, which goes to show that Alimentaria one of the many Barcelona events that captures not just the Spanish eye, but that of the world. To be hosted on 16th – 19th April 2018. The International Restaurant and Hotel 2018 exhibition expects more than 41,520 visitors. The fair is being held alongside Alimentaria and is hosted every two years to bring new trends in hotel equipment. Hostelco is a leading fair in technological innovation and international impact in the fields of manufacturing, import and distribution. This international fair is a travelers meeting point, where they can discover the latest developments about travel and tourism. Its offer is presented around five big categories: B-Happy (experiences of well-being in company), B-Special (unique ideas), B-Culture (for fans of art, history and culture), B-Adventure (trips with sport, nature and adventure as protagonists) and B-Delicious (food and wine plans). To be hosted on 20th – 22nd April 2018. Every year in April, a flurry of bridal designers and models come from all over the world and descend upon Barcelona; and in tow with them are suitcases spilling open with dresses of white satin, lace, tulle, sequins, and everything bridal. 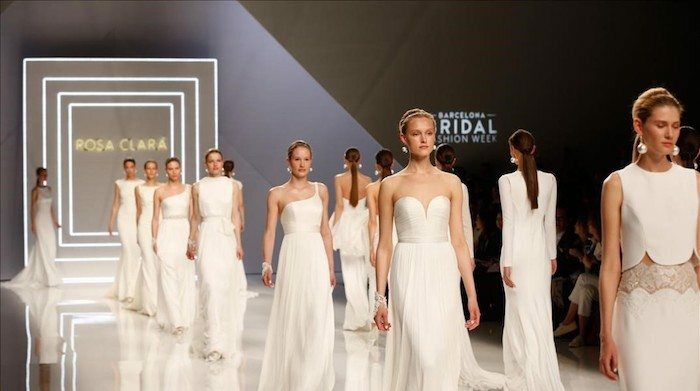 During this Barcelona event, the industry’s hottest names host exclusive invitation-only catwalk shows, such as celebrity favorites Ángel Sanchez and Galia Lahav just to name a few. Hundreds of boutique and international brands exhibit their latest and most sparkly creations that will have you falling head over heels in love. With so much excitement and glamour, it’s impossible to deny that romance is in the air when this Barcelona trade show is happening. To be hosted on 23rd – 29th April 2018. This trade fair is the best chance to meet roughly 14,000 visitors from SMEs and entrepreneurs seeking solutions for their transformation. The event is already a reference in the promotion of entrepreneurship and the competitiveness of SMEs. In this coming edition, digital transformation will be a highly anticipated hot topic. 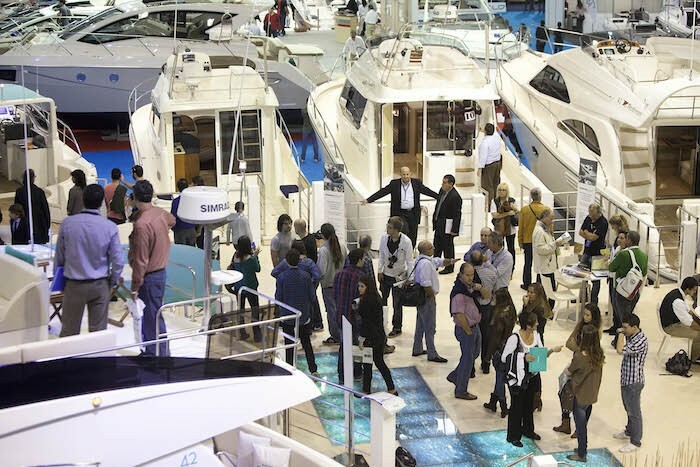 Barcelona Boat Show brings the latest nautical and leisure products. Motor and sail boats, fishing boats, canoes, kayaks, boats, trailers and sportswear share the exhibition space in one of the largest nautical fairs in Europe. More than 55,000 visitors and 200 exhibitors get together making it the largest of its kind in Spain. In its last edition it gathered 275 exhibitors, and also more than 700 boats were exhibited. To check the calendar of upcoming Barcelona events and trade fairs at Fira, click here. If you’re visiting Barcelona for an important trade fair soon and are looking for an executive-style apartment, be sure to check out bizFlats for short term and long term rental options. Or check out our comprehensive guide for things to do in Barcelona during your 1 day, 3 day or 5 day stay! Mobile World Congress Barcelona 2018 is happening once more! 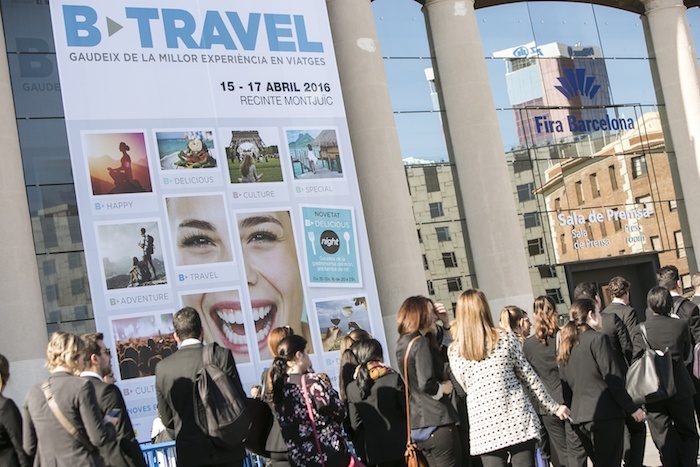 You’re back in town again for one of the world’s biggest technological conferences, which this year takes place 26th February to 1st March at Fira Gran Via and Fira Monjuïc. There are new touristic attractions in town waiting for you to see, and also plenty of events and parties these days too. Check out this handy guide for things that you can’t miss! After a long day in a conference hall, there’s nothing better than to stretch those legs and get some fresh evening air. 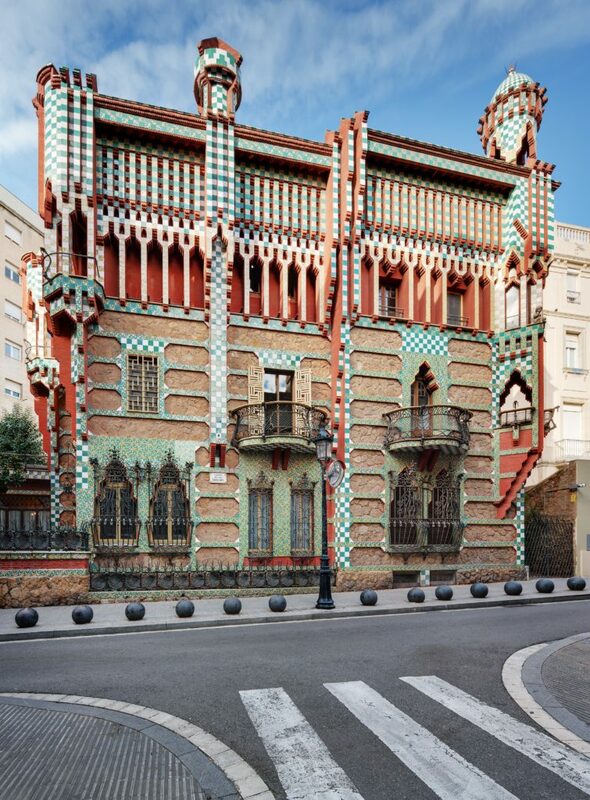 A visit to UNESO World Heritage site Casa Vicens is absolutely recommended; its doors were only just opened to the public for the first time in 130 years last winter. Of course, if you didn’t get a chance to visit it yet, Gaudí’s Casa Batlló is stunning in the night, the myriad of coloured glittering lights almost bring the building to life. Sagrada Família after dark is also hauntingly beautiful, with the colossal structure illuminated as it looms over the rest of Barcelona. With Gaudí’s distinctive modernist style, as showcased in all three buildings above, it’s easy to see how he’s considered as one of Spain’s most renowned architects. If you’re keen to take in more historical sights during your stay at Mobile World Congress Barcelona 2018, check out our Barcelona in 5 days, 3 days and 1 day travel guide. Watch an opera performance at the spectacular Gran Teatre de Liceu. With it’s magnificent high ceilings, plush red curtains and opulent gold detailing, it is only fitting that such a grand venue would play host to one of the greatest love stories of all time, Shakespeare’s “Romeo and Juliet”. Showing on the evening of Tuesday 27th February. If you’re aching for some music that you can move your body to, American pop star Jason Derulo will be performing at Sant Jordi club on the night of Monday 26th February, his top 40 hits will have you tearing up the dance floor. Arriving a few days early in Barcelona? 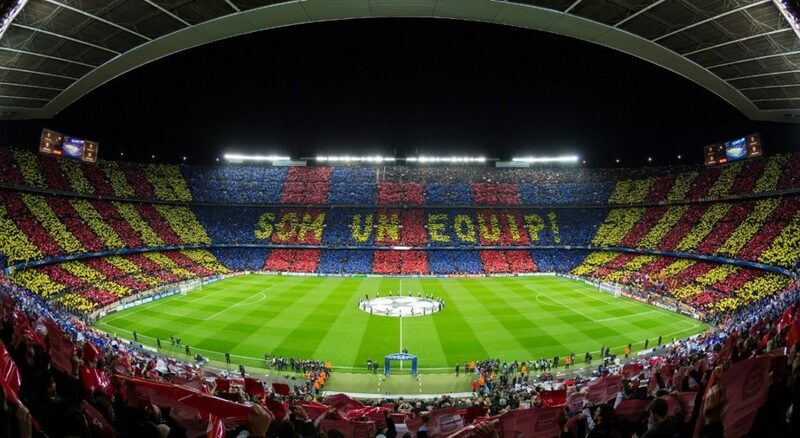 You’re in luck; on Sunday 25th February watch FC Barcelona and Girona battle it out in one of the world’s most famous football stadiums – Camp Nou. There’s even a tour and museum that showcases memorabilia and trophies for those big football fans. 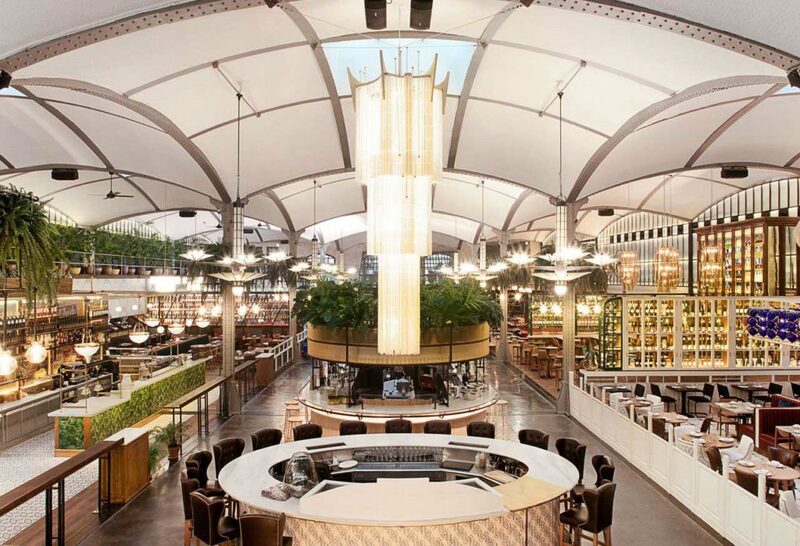 Tucked away on the famous Passeig de Gràcia, El Nacional is a feast for your taste buds and eyes alike, and the perfect casual dinner spot for after the Mobile World Congress Barcelona 2018. Originally constructed in 1870 as a textile factory, the 8,500 square foot space has been transformed into an all-new gastronomic heaven with a Wes Anderson-esque retro flair. With four culinary areas and four specialised bars, there’s plenty to choose from, including tapas, cold cuts, cheeses, oysters, cocktails and more. If you’re a fan Spain’s most loved rice dish, paella, check out our recommendations for Best Paellas in Barcelona. If you’ve got some important clients from Mobile World Congress Barcelona 2018 to host, there’s plenty of Michelin-starred restaurants that will wow your companions, check out our guides for Barcelona and Catalonia here. 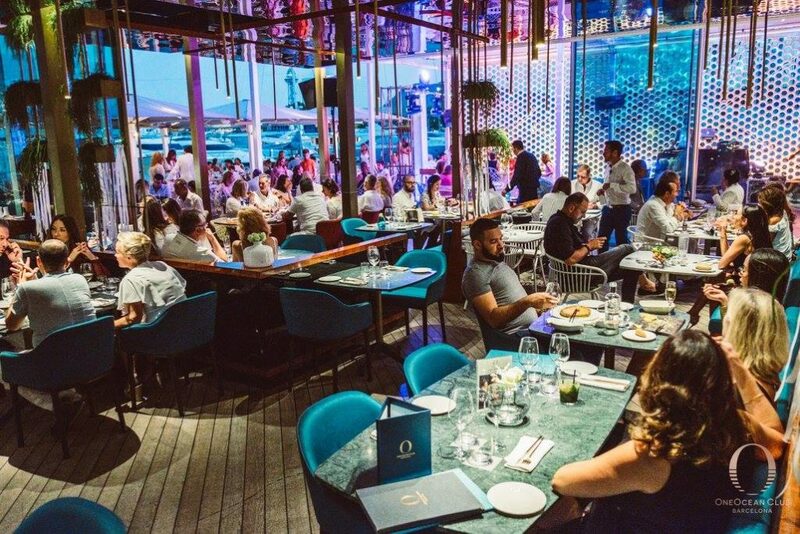 Whether it’s just to grab a post-conference drink, or if you want to party until 6am, Port Olimpic’s glitzy beach-front bars and clubs are always pumping, no matter what day of the week. 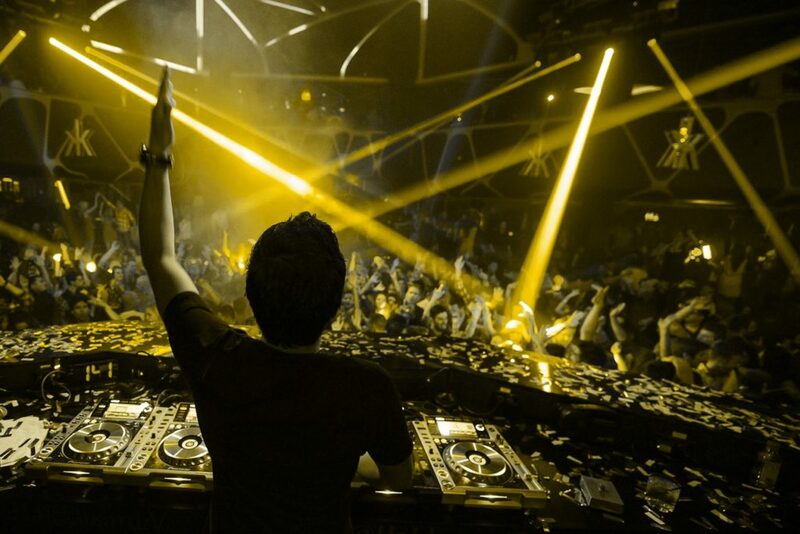 You’ll find a cosmopolitan crowd dancing and drinking the night away at places like Opium, Carpe Diem, Shoko and Pacha. Also recommended are Bling Bling and Luz de Gas in upper Diagonal area, these are places to see and be seen, put on your best threads and they’ll have you wrapping up the Mobile World Congress Barcelona 2018 on an absolute high! Check out our Facebook page for the latest updates on which parties to go to, or check out this article on Barcelona nightlife. Mobile World Congress 2018 will be a very busy time for Barcelona, we highly suggest booking accommodation in advance. Check out our short-term rentals here and book your apartment today. The Three Kings Day 2018 is one of the highlights of the Barcelona Christmas Season. Its name in Catalan is Dia dels Tres Reis d’Orient, and is also known as The Epiphany in religious terms, and happens on the sixth day of January. It is a major event in the Catholic Church’s Nativity agenda. Three Kings Day marks the arrival of the Three Wise Men of the Orient to the birthplace of Jesus at his stable in Bethlehem. They came bearing gifts of gold, frankincense and myrrh for the newborn messiah, but in Barcelona, they arrive to give gifts to the city’s inhabitants. For local kids here in Barcelona, Three Kings Day is even more special, as the focus of the day is on them and not really the grown-ups. Rather like the traditional Father Christmas character in Northern Europe, children only receive gifts if they have been good all year long! The city’s children also have to write a letter to the King’s Pages ahead of the Three Kings arrival to ensure they get the gifts they desire. On the 5th of January, the Three Kings arrive in Barcelona with a spectacular street parade called La Cavalcada dels Reis d’Orient – which is a procession to symbolise the arrival of the Three Kings into Bethlehem mounted on their camels, each bearing their gifts for the baby Jesus. 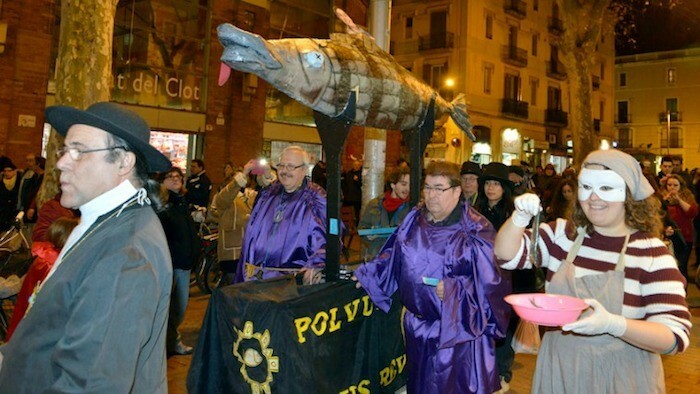 This year, they will arrive by boat at 4:30pm at the Moll de la Fusta. 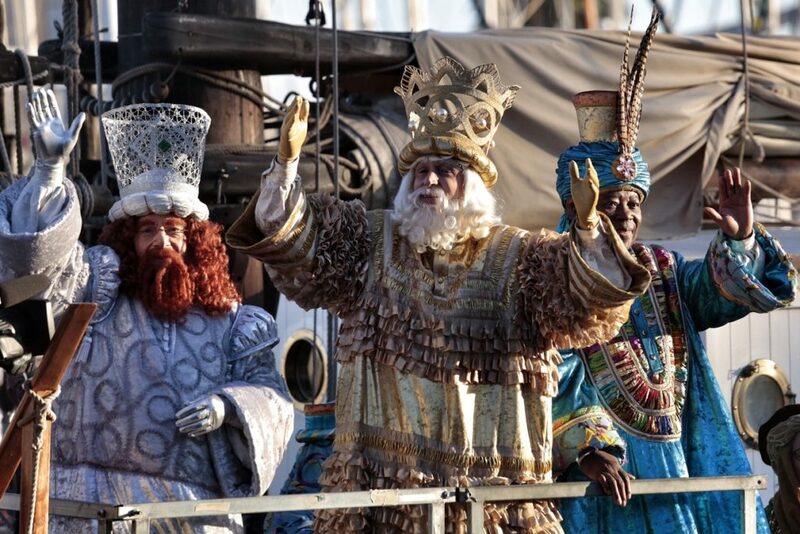 After a welcome statement by city officials, the Three Kings begin a parade along the city streets. 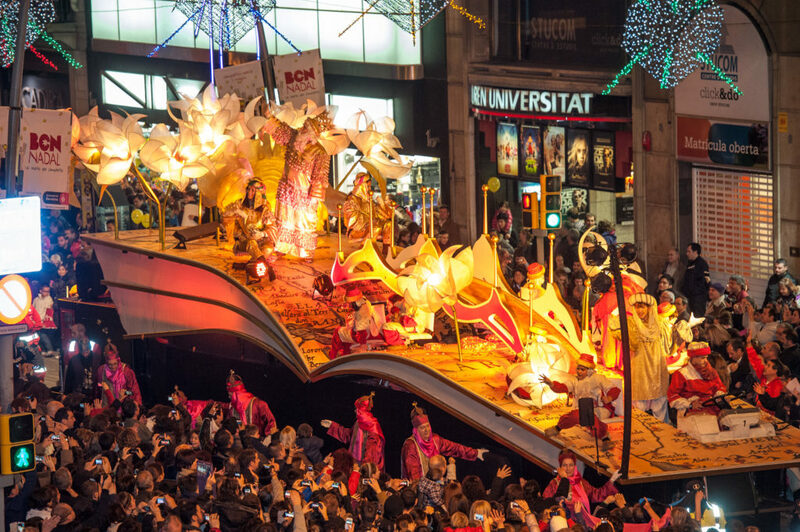 This year, the Three Kings parade starts on Via Laietana at 6pm, snaking its way through the city, finishing at the Magic Fountains of Montjuïc at around 9:30pm. The Three Kings parade features the Three Kings in their carnival style float among a whole collection of other floats and musical attractions, where the performers are laden with candy and sweets to throw at the children who catch them, normally in umbrellas that are held upside down. After the parade has finished and before the children go to bed, they have to prepare some food and water for the Three Kings and their camels to take refreshment. Normally unable to sleep with excitement, contemplating the next morning, the children will eventually settle to sleep and wake early the following morning, when they can see and open their gifts on Three Kings Day. After the morning’s activities are over, the whole family will settle down for a very special lunch. It is normally a four course sitting and traditional menus will begin with a buffet of tapas followed by a special soup and then a third course of meat or freshly cooked fish. 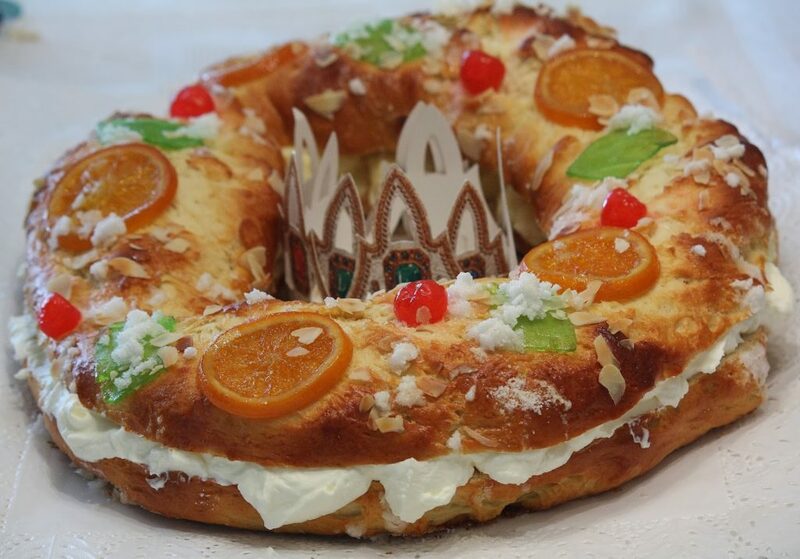 Then the pièce de résistance is served – Tortell de Reis (King’s Cake) – a puffy, circular, marzipan sponge cake filled with cream, resembling a King’s crown. In fact there will be a crown in the centre and the cake is topped off with dried fruits symbolizing a crown’s jewels. But the King’s Day tradition doesn’t stop there, because inserted into the cake are two objects – a bean and a figurine of the baby Jesus. Whoever recovers the figurine gets to wear the crown and is called King for the day (also signaling that that person will have a very lucky year) and whoever gets the bean unfortunately has to pay for the cake! As you can see, Three King’s Day 2018 will be a very special day indeed for the city’s children. So why not make your stay in Barcelona just as special by renting a luxury apartment during your stay. We have a wide selection of apartments to rent all over the city, so why not opt for one on the Three Kings parade route? See here for our selection of beautiful places to rent during these unique celebrations. Barcelona New years Eve: Ready for the party? 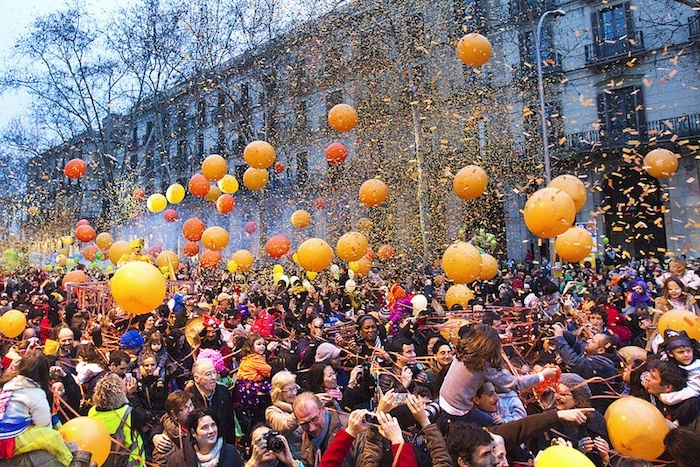 Barcelona New years eve is around the corner. Where are you planning to go? 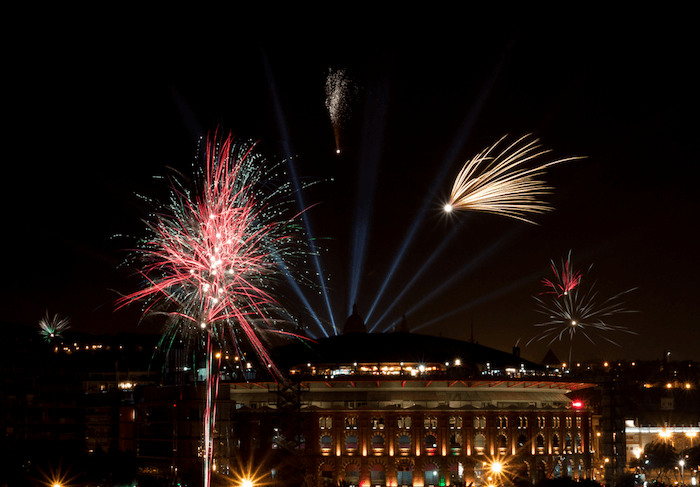 Apart from the official events, like the gigantic New Year celebration at Avinguda de la Reina Maria Cristina, there are some other great events on offer during the Barcelona New Year’s Eve festivities. A fine end of year party always takes place at the Poble Espanyol complex. 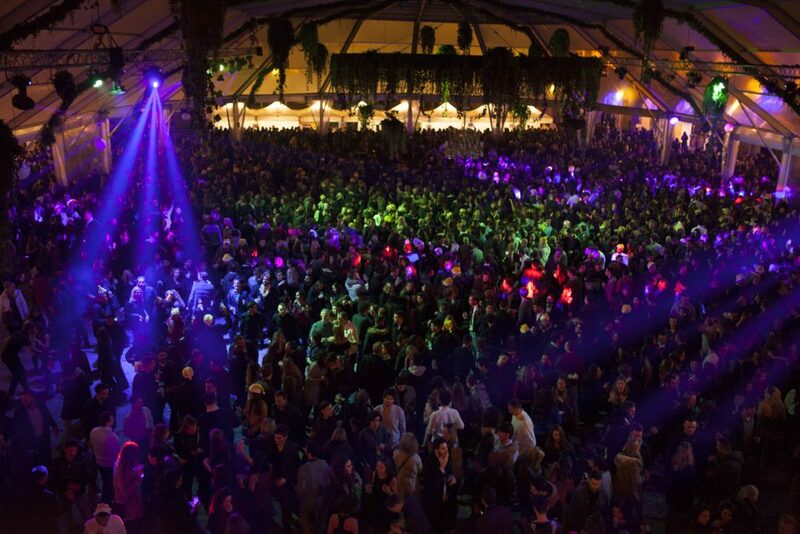 This year sees the 29th edition of the best Barcelona New Year’s Eve party. Start the night bringing in the new year with the 12 chimes, grapes and cava in hand, ready to start a night of fun with new musical hits and some of the songs from the past. Three spaces are prepared for the party and include Plaza Mayor, the Carpa and the VIP area, located in one of the most renowned nightclubs in the city – La Terrazzza. For some special VIP treatment and nightlife elegance, then one of the best parties in Barcelona for New Years Eve has to be the Sutton Club’s 2018 celebrations. There are 50 VIP tables and on this night, they maybe reserved from €1000 and have for the best views of the dance floors and the finest service for you and your friends. DJs on the night are Albert Martin and Carlos Ramos in the main room. 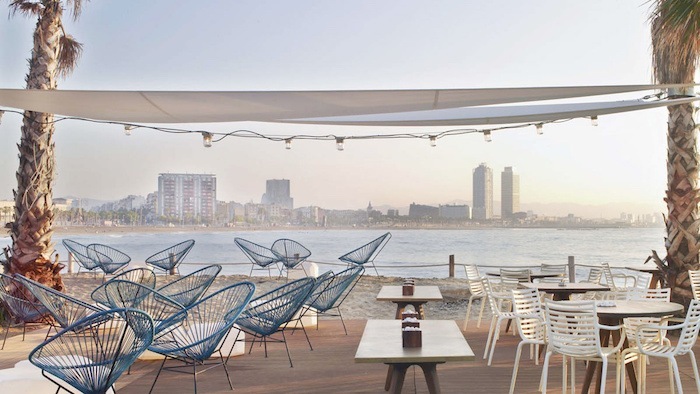 This place is a new private members club and restaurant built on the water alongside the super yachts in the heart of Barcelona’s Port Vell. 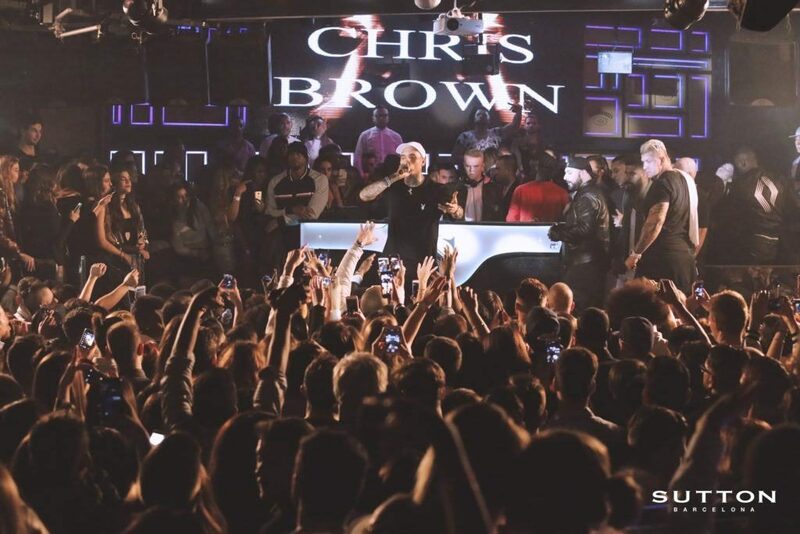 It is the place to be seen for Barcelona’s social elite. It has fast become known for its fine service and marina views. Seeing in the New Year here will be nothing short of spectacular. Your ticket will include a gala dinner, live music performances, dance floor, delicious cocktails and many more surprises. You can book your place and reserve your place at €195 and celebrate your Barcelona New Year’s Eve in style. This is one the city’s finest venues, and is more than just a dancehall. The complex located on Avinguda del Paral–lel, has music halls, a hotel, theatre, bars, gaming facilities, and offers an enviable and mixed billing every week. 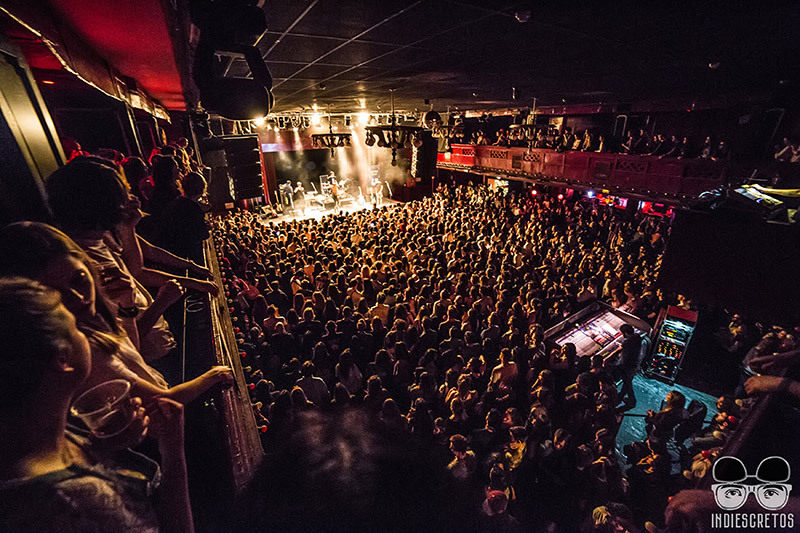 The site has always been a centre for entertainment for more than 80 years, and today Sala Apolo is popular with big music names as well as with emerging local and international artists. While the line-up for its end of year extravaganza is top secret, this will be one of the best Barcelona New Year’s Eve events. 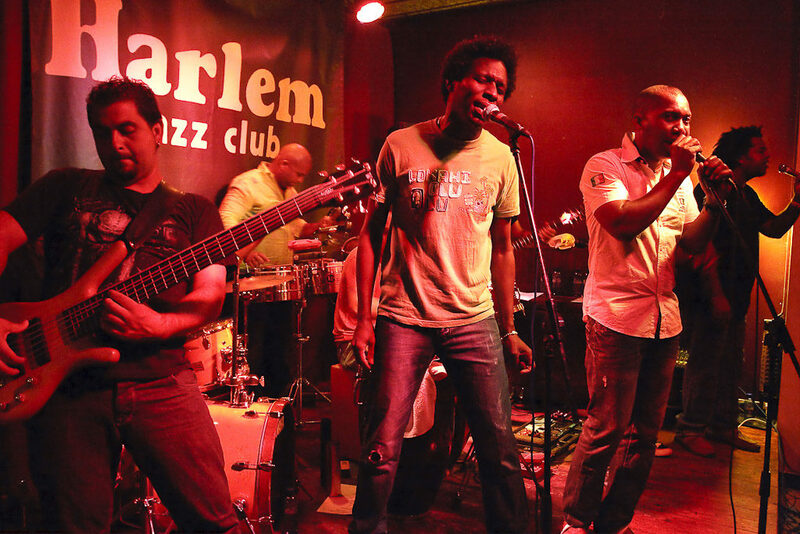 Credited as one of the top 10 Jazz clubs in the world by Forbes Magazine, Harlem Jazz, nestled in the heart of the Gothic Quarter, plays host to jazz, blues and swing bands from or touring in the city. Regular bands include The Big Beat Swing Band & Sax Attack, Big Mama & Tota, JV & 2 Moons and Son de la Rambla. The venue’s stage can easily house a large band and there is plenty of room to groove, with drinking tables situated close to the action. But arrive early as spaces fill quickly over Barcelona New Year’s Eve. If you are partying through to the first day of the year, then Barcelona New Year’s Eve celebrations don’t stop in the early hours. On the 1st of January, a new event featuring some of the best DJs on the planet will take place for the first time and is set to be an extravaganza at the old Olympic Cycling Racing Venue situated at Velòdrom d’Horta. Superstars include US House DJ sensation Seth Troxler and rising Belgian Techno star, Amelie Lens. Gates open at 16:00 hours, so you may have some time to catch up on some much needed sleep before the party starts again! All in all, Barcelona is a city of fiesta, and whichever Barcelona New Years Eve event takes your fancy, make sure your stay is complete by choosing one of our beautiful apartments located throughout the city. See our selection here.